Speed through tasks, or sit back and socialise – with the AMD Ryzen 3 processor and a rich FHD display. A laptop with the power to surf, stream, and do so much more with an AMD Ryzen 3 processor and AMD Radeon Vega 3graphics. Power through any task with ease. Featuring a streamlined chassis with a polished aluminum cover, the Ideapad 330s is designed to make an impression. Choose from a range of sophisticated tone-on-tone colour options to make it yours. Upgraded from windows 7 to windows 10. Doubleho Model Railways. Like this. built in dvd drive. could do with a faster harddrive upgrade. Speed through tasks, or sit back and socialize – with the latest processors and a rich FHD display. AMD Dual-Core E2-9000e Processor. A laptop with the power to surf, stream, and do so much more with an AMD processor and graphics options. Hard Drive : 500GB HDD. Webcam :YES. 12 MONTHS WARRANTY. Warranty : 12 Month. keyboard Kayout :UK (QWERTY) Version. Various : VGA,Display Port, Card Reader. USB Ports : 3. Nvidia NVS 4200M. AMD A6 (9225) 2.6GHz Dual-core Processor with 1MB Cache. Processor AMD Dual Core A6 ( 9225) 2.6GHz (Boost: 3GHz) 1MB (L2 Cache) (L3 Cache). Stacked with premium AMD processing and discrete graphics options, the Ideapad 330 is as powerful as it is easy to use. 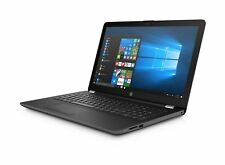 NEW HP 15-BS046NA 15.6 Inch Intel Celeron 1.6GHz 4GB 1TB Windows Laptop - Black. AMD Ryzen 3 2200U Processor. Processor: AMD Ryzen 3 2200U. Processor Type: AMD Ryzen 3. 4 GB RAM, 2 TB HDD. A laptop with the power to surf, stream, and do so much more with an AMD processor and graphics options. HP 15-db0521sa 15.6 Inch AMD A6 Laptop - 1 TB HDD, Grey. Condition is Used. Dispatched with eBay delivery – Shutl 1 day. 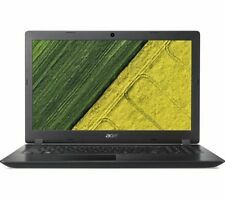 Acer ES1-511 15.6". 1x Acer ES1-511. As part of the sale you"ll receive. Hard Drive Capacity 1TB. Processor Type AMD A-Series. Processor AMD A-Series. Storage Type HDD (Hard Disk Drive). The laptop has been fully checked and tested. Type Laptop. Primary Drive No Optical Drive. 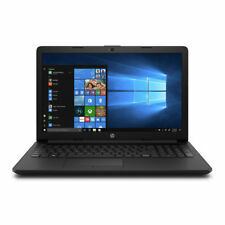 HP 15-db0000na 15.6 Inch Laptop FHD AMD E2-9000e 4GB RAM 1TB HDD Windows 10 OS. Condition is Manufacturer refurbished. Dispatched with eBay delivery – Shutl 1 day. 1TB storage. Hard Drive Capacity: 1TB. Max RAM Supported: 8GB. Headphone Jack: Yes. Type: Laptop. Colour: Purple. Optical Drive: DVD Super Multi. It may have noticeable moderate to heavy scratches, scuffs, marks or dents. Acer Aspire ES E15 ES1-533 Laptop Windows 10 15.6 inch in Red with charger. Bouht brand new in 2016, have since bought another so no need for this. Full working order, excellent condition. Please see photos for spec. Can either post or you can collect from East Dulwich. 4 GB RAM, 1TB HDD. GeForce GTX 1050 Graphics. With massive storage, now you can download all your content right onto your laptop. Take your favourite software and collection of movies, music, and photos with you wherever you go. Brand: HPProcessor: Intel Core i5 8th Gen. This also could be ideal for university work. Preserve your sight and turn on the Acer BluelightShield feature in the Acer Quick Access tool bar. The 8GB of RAM allows smooth multitasking, so whether you love listening to music while you work or need multiple internet tabs open, the acer won't hold you back. 5000GB HDD. Acer ES1-512 15.6". 1x Acer ES1-512. FREE 6 Months Warranty. As part of the sale you"ll receive. Processor: AMD Ryzen 5 2500U Quad-Core (2 GHz base frequency, up to 3.6 GHz burst frequency, 6 MB cache); Processor family: AMD Ryzen 5 processor. A laptop with the power to surf, stream, and do so much more with an AMD Ryzen 3 processor and AMD Radeon Vega 3graphics. 4GB RAM, 1TB HDD. Hard Drive Capacity: 1TB. AMD A6-9220 Dual Core Processor. Graphics card: AMD Radeon R4 Graphics. The HP 15-bw066sa 15.6" Laptop is part of our Social range. Processor Type: AMD A6 Dual-Core. 4 GB RAM 128 GB SSD. With dual HP speakers, HP Audio Boost, and custom tuning by the experts at B&O PLAY, you can experience rich, authentic audio. Let the sound move you. Designed to run more efficiently and more reliably at faster speeds, DDR4 is the future of RAM. AMD Ryzen 5 2500U processor. An ultrathin and light laptop loaded with performance and style. Accomplish more. Watch videos, edit photos, and connect to family and friends with all the power you need to get things done. Processor Type Core i7. For example, Earphones, VGA Cable, User Manual. Faulty products - Manufacturer & SaveOnTech 12 Month Warranty. At Least 12 Months Warranty. The item will have been tested and where required may be professionally refurbished by our engineers. Speed through tasks, or sit back and socialise – with the AMD Ryzen 5 processor and a rich FHD display. Hard Drive Capacity: 1TB. A laptop with the power to surf, stream, and do so much more with an AMD Ryzen 5 and AMD Radeon Vega 8 graphics. Power through any task with ease. Featuring a streamlined chassis with a polished aluminum cover, the Ideapad 330s is designed to make an impression. Lenovo IdeaPad Notebooks. 1TB (5400RPM) SATA Hard Drive. Model: VivoBook X540NA. 4 GB RAM, 1 TB Hard Drive. Its premium brushed finish turns heads and makes sure that you stand out from the crowd. Windows 10 OS. Type: Laptop. This item is refurbished to a C1 grade standard. 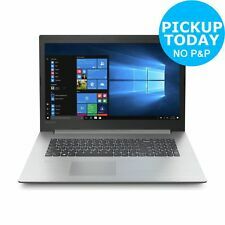 Lenovo IdeaPad 330-15IKB Laptop. That’s why we designed the Ideapad 330-15IKB with a special protective finish to guard against wear and tear, as well as rubber detailing on the bottom to maximize ventilation and extend component life. Plus extensive quality testing ensures that you can keep going.and going. It features a sleek and stylish design which makes this laptop easy to take anywhere. RAM Size 8 GB. Type: Laptop. Headphone Jack: Yes. 1TB storage. Hard Drive Capacity: 1TB. Max RAM Supported: 8GB. Headphone Jack: Yes. Type: Laptop. Optical Drive: DVD Super Multi. It may have noticeable moderate to heavy scratches, scuffs, marks or dents. 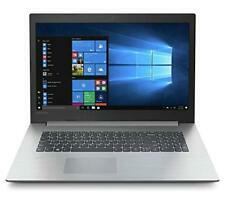 Ending 25 Apr at 7:04PM BST4d 1hType: Notebook/LaptopBrand: LenovoProcessor: Intel Core i5 5th Gen.